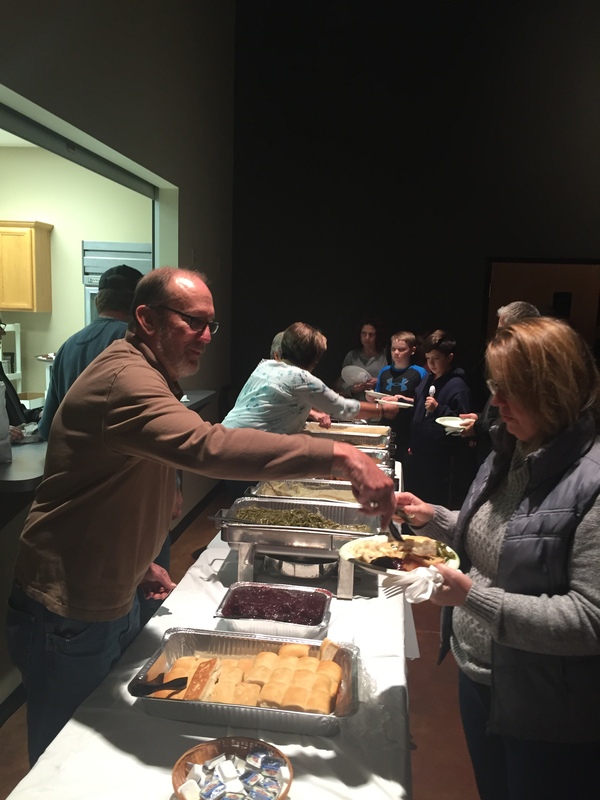 Last night we had the privilege to feed a large amount of our congregation for the Thanksgiving Prayer Meeting and Meal. The response was over twice what we anticipated in our highest hopes. It was a beautiful night to experience the presence of God and fellowship. No doubt the record breaking prayer meeting was connected to the food component. Many of us may have wanted the meal, but we needed the prayer. I believe that in our excitement for turkey, dressing and fellowship, we also found Jesus.